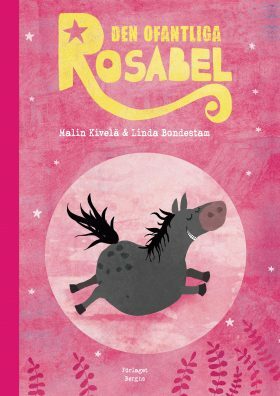 A delightful story of Rosabel, a sturdy little pony, who is teased by the beautiful show horses at the stables she shares with them and her mother. But Rosabel will chase after her dreams and when given the change she gallops into the forest in search of freedom. With delicious artwork and dark humour, this is an uplifting story in the footsteps of Dumbo. The book was nominated for Runeberg Junior Prize in 2018.